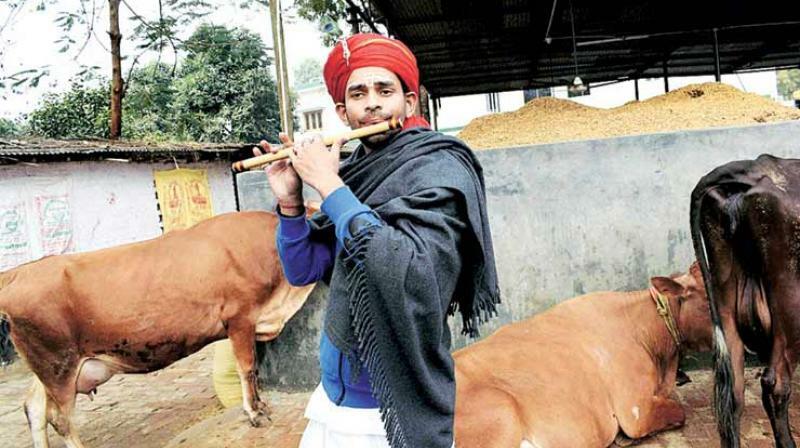 Tej Pratap Yadav, former Bihar minister and son of RJD (Rashtriya Janata Dal) chief Lalu Yadav, who dropped out of school after failing his 12th board exams, has vacated his official residence claiming that Bihar Chief Minister Nitish Kumar and Deputy Chief Minister Sushil Kumar Modi have let ghosts loose in the house. As former Health Minister of Bihar, (before the unprecedented drama which following break up of Mahagathbandhan), Tej Pratap was allotted 5 Deshratna Marg, a three-acre compound, as his official residence. However, in wake of finding the house haunted by ‘ghosts’ ‘released’ by Kumar and Modi, Tej Pratap has decided to vacate the house. Tej Pratap’s whimsical behaviour is not unknown. Some days he likes to walk around with a flute, visiting temples, in a ‘Krishna-avatar’ because of his beliefs in the divine intervention. While he was asked to vacate the house after the Mahagathbandhan broke last year in July, it took the trauma induced by ‘ghosts’ let loose by Kumar and Modi to get Tej Pratap to vacate the house. Let it be known that this is not the first time Nitish Kumar is accused of letting loose ‘ghosts’ on the Yadavs. Back in 2007, when Lalu was asked to vacate his residence at 1, Annie Marg, a few palm trees shook when a plane flew really low. Lalu, who was supervising renovation work, believed Nitish Kumar, who had become the Chief Minister in 2005 defeating his wife Rabri Devi, had unleashed ghosts on him. Well, since legal notices are ineffective in getting politicians to vacate their official residences after they are no longer entitled to them, ‘unleashing ghosts’ may not be that bad an idea.